So I am missing Europe a bit, the canals of venice, the charm of Italian hospitality and the craving of fresh handmade pasta. 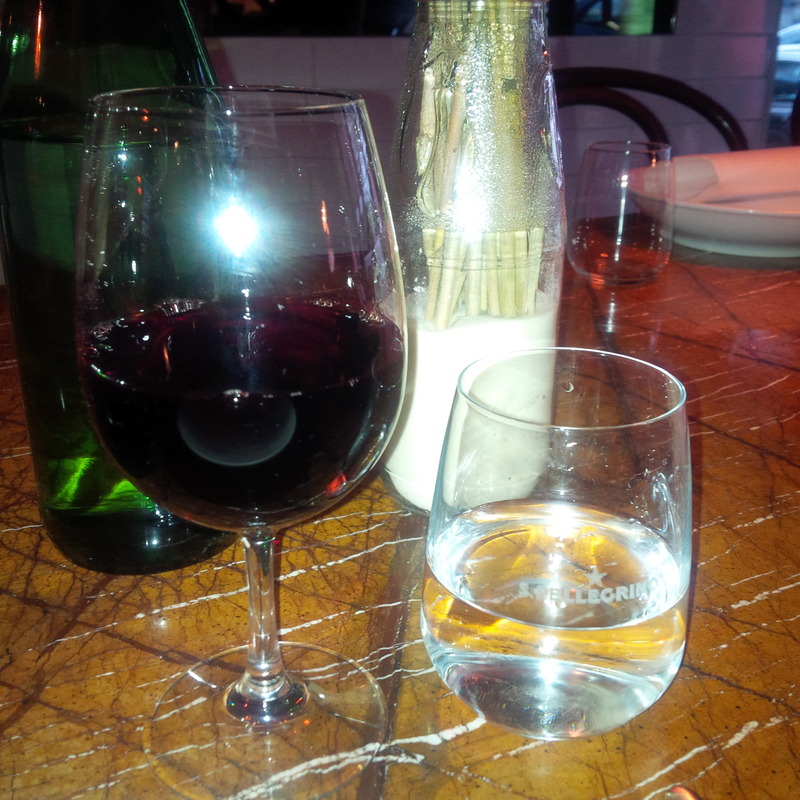 I decide to relive my holiday, so I make way to A Tavola. A Tavola is place which is all about “fresh” – the way it’s meant to be. It has the atmosphere of a large marble communal dining table, fresh handmade pasta hanging in the kitchen and a beautiful collection of Italian wines (which my liver is thankful I don’t have in my own cellar). I am greeted with the typical, “you mean everything to me” Italian hospitality. I love it. I am seated at my spot on the long table, where I am brought a nice piece of rustic Italian focaccia with olive oil infused with chilli. 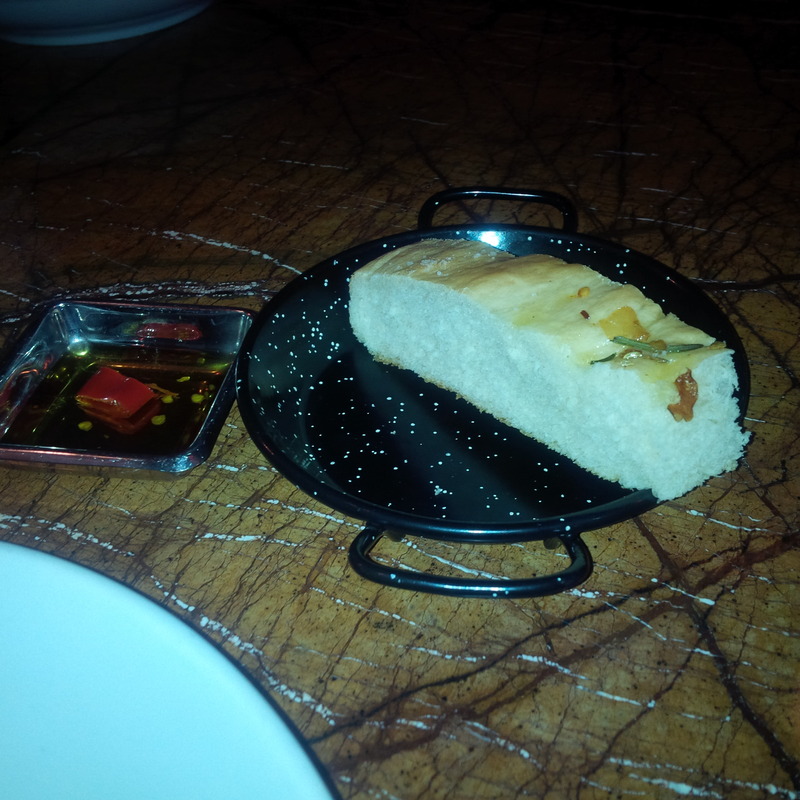 The olive oil soaks into the bread, while it retains that firm fresh crusty feel… it’s absolutely heavenly. Then my entrée arrives, a lovely Vitello Tonnato. It’s different to one I had at Harry’s Bar (see above the page of my review). 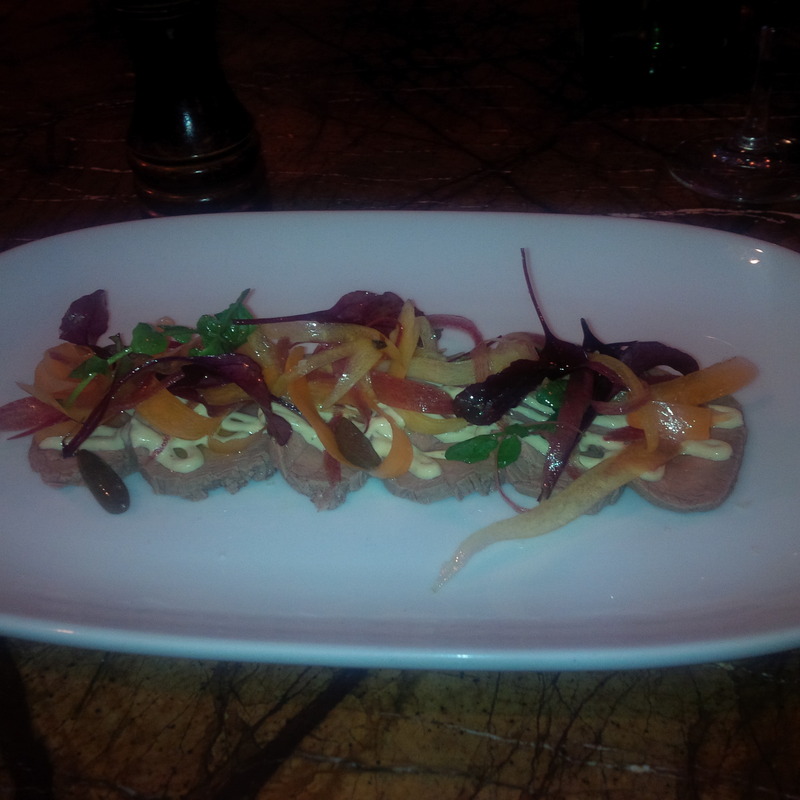 Its soft rare poached veal fillets with a tonnato sauce (tuna mayonnaise) poured over and capers and shaved vegetables. The shaved vegetables have the texture and the capers add some tang to the dish. The tonnato sauce doesn’t have a tuna brine taste of the authentic Venetian sauces which is a bit off putting, but it’s delicious nonetheless. The veal is work of art, soft, full of taste and perfect on its own. I pair it with a glass of Nerello (similar to a light Pinot or Nebbiolo) which is perfect, doesn’t overpower the dish but adds the right flavour to complement the dish. Then I have the Rigatoni al Ragu. 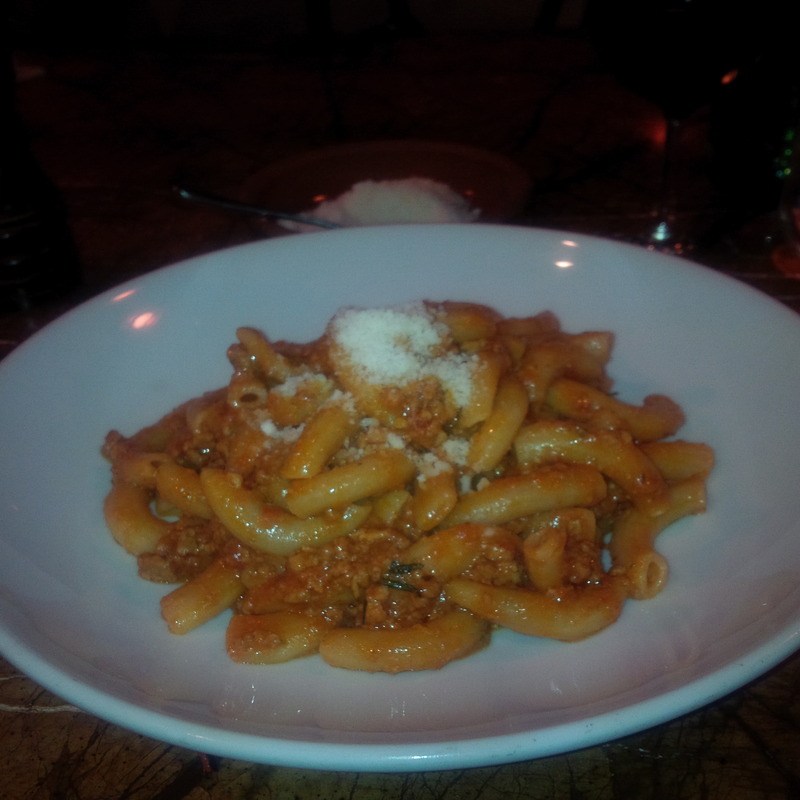 Beautiful rigatoni pasta paired with a melt in your mouth ragu. 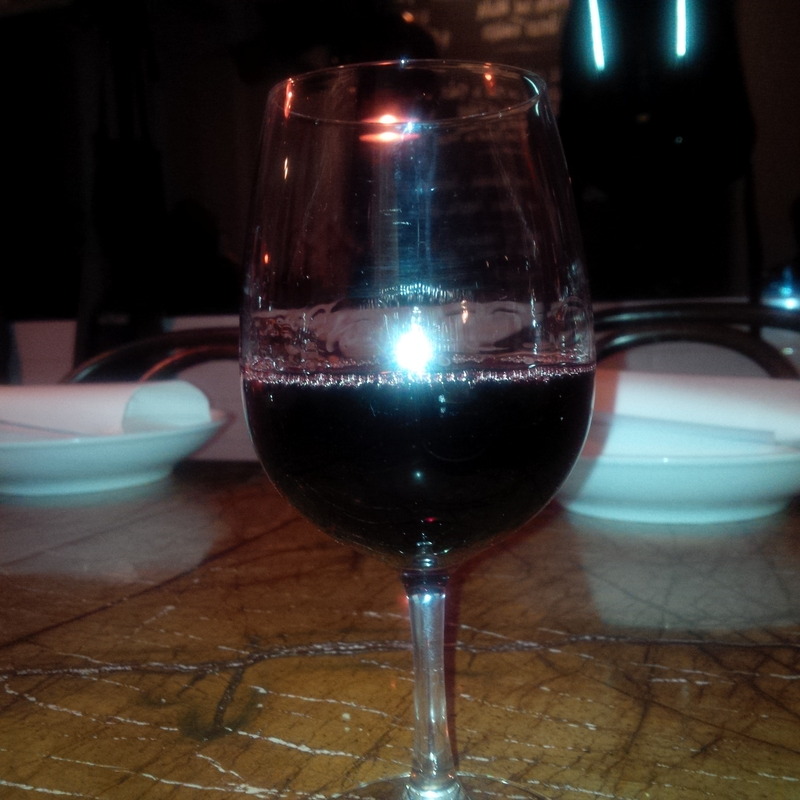 It’s paired with an amazing glass of light Italian varietal (name escapes me). I switch to a glass of Le Vigne di Zamó (they ran out of the Nerello) which provides some extra spice and flavour to the rich hearty ragu. Then, completely content with the pasta, I move on to dessert. 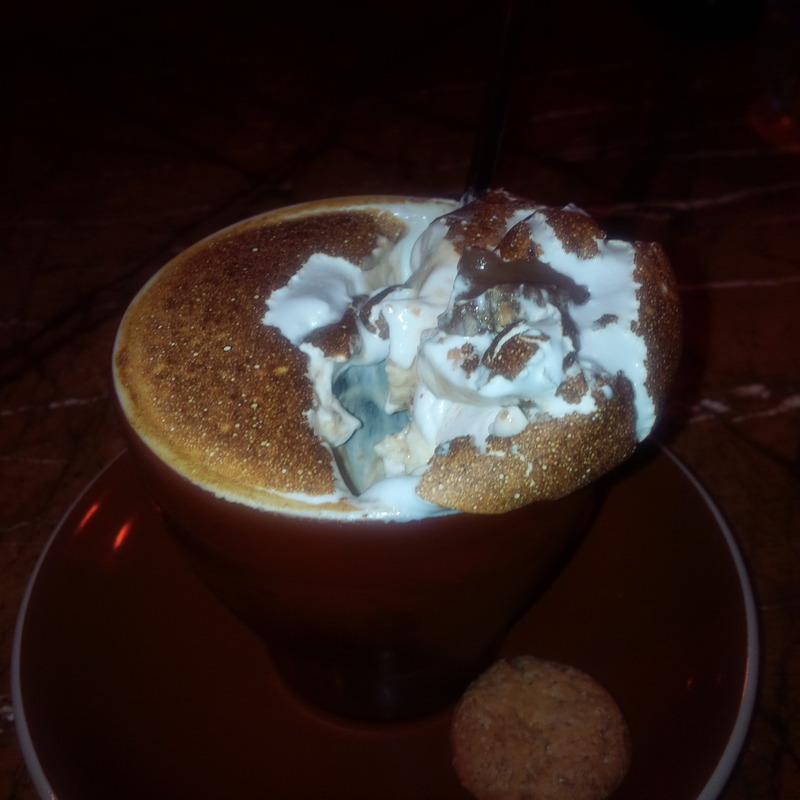 I go for their signature, the Cremino al Cioccolato. 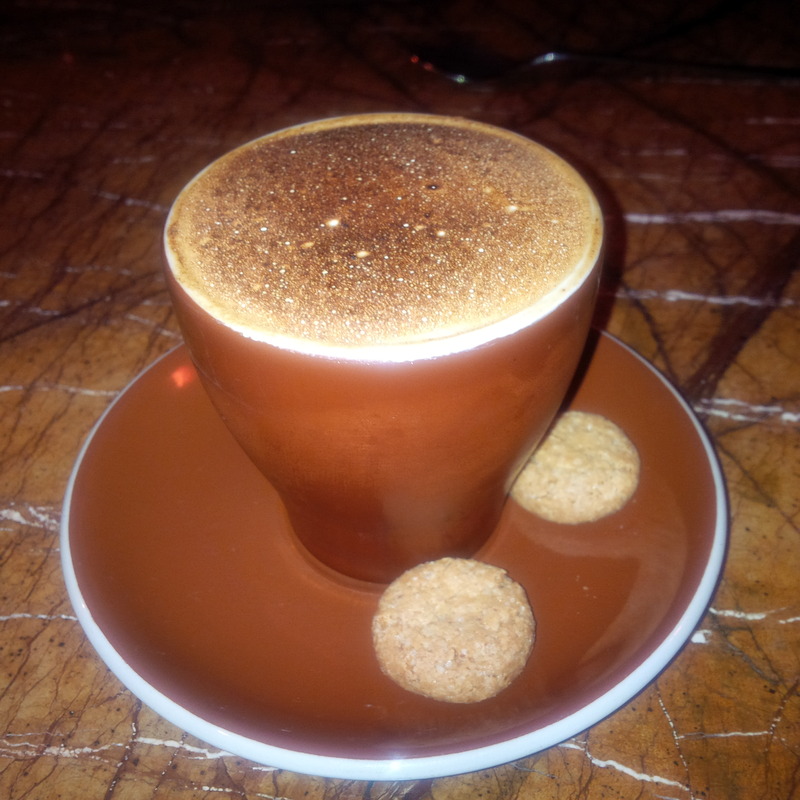 It is brought out in a coffee cup and looks like a cappuccino. It’s a chocolate hazelnut ganache base sandwiched with a biscuit base topped with an Italian meringue and salted caramel ice cream with some ameretti biscuits on the side. It’s simply divine, the crunch of the biscuits, the smooth creaminess of the chocolate base and the frothy and the silky Italian meringue. It ticks all the boxes, taste, texture and creativity. It’s Italian… the decadence, the hospitality, the wine and the fresh pasta and meat. Like the dessert miss the rain, Italy so I miss you… actually maybe not as much, given I have A Tavola here to remind me of my travels.